HVAC technicians are part of a growing field of professionals enjoying the stability and security of a profession that is needed by many companies. HVAC technicians are employed to make sure that various heating and cooling equipment are functioning well, and this is a must in an age where these types of machines are found in almost all types of buildings and homes. To become a HVAC technician and enjoy all the benefits that come with being one, a prospecting worker must first undergo training. HVAC training is mandatory. There are a number of institutions in Nebraska that offer HVAC courses, like universities, career colleges and technical institutes. Students may choose a school depending on their schedule, preferred specialization or budget for tuition fees. 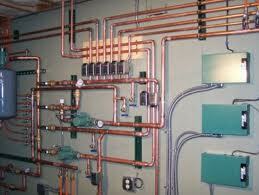 HVAC training is generally similar across all schools. It is divided into two parts: lecture hours and internship hours. Lecture hours will tackle all the need to knows and basics of HVAC technician training, while internship hours will allow students to cull the experience they need. The internship hours are the most important part of any HVAC course. Whatever will be learned during the classroom hours are applied here. The students get to take a look at the course as it happened in the real world. Students can also make important and beneficial connections with clients and employers during this time. Interested students can choose between online and onsite schools depending on their needs. The following schools in Nebraska are good places to start for serious HVAC students. HVAC schools in Colorado as well as HVAC training courses in Kansas, South Dakota and Iowa offer a new list of accredited programs to look into if you are located close to a neighboring state. The premiere HVAC training center for advanced HVAC learning in Nebraska, this school is also ideal for those who need the flexibility of evening classes. The school also offers review classes on weekends for licensing exams. 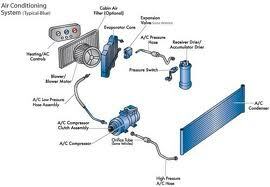 Metropolitan Community College offers HVAC training to interested students in the Elkhorn area. Those who learn best through traditional classroom learning settings will greatly benefit from their course.